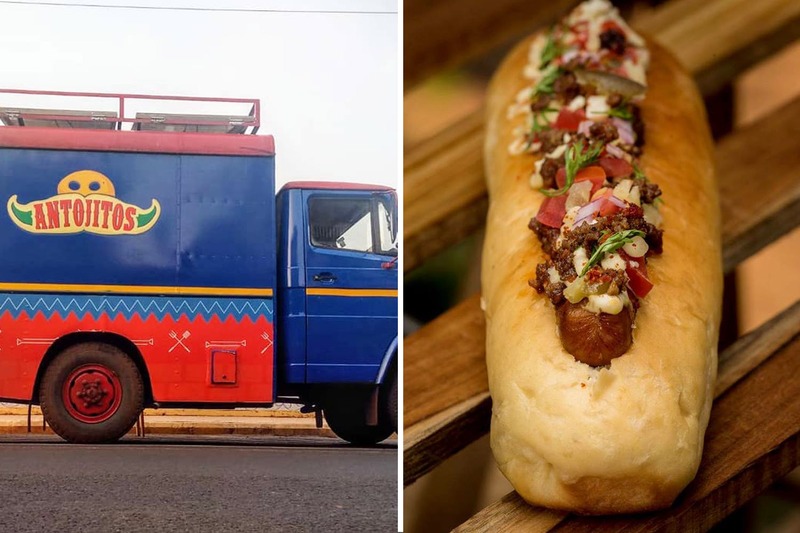 If you are in Goa and looking to eat like the locals, then a visit to the Antojito’s Food Truck should be high on your list of things to do. Burgers, quesadillas, hot dogs, Mexican-style grilled steak are just some of our favourite things that Steve & Elvis offer at this cute, colourfully painted food truck called Antojito’s. The best part about the location of the food truck is that it is parked overlooking some pretty fields. We started off with the quesadillas which at INR 250 came with an option of non-veg fillings such prawns, chicken, pork, beef (there are veg options too). Their shredded sandwich, again for the same price, comes with options such as pulled pork or chicken. The burgers are what we really got after, each beef one with a 40oz filling accompanied by various sides. The El Mexicana came with salsa beans, cheese, chimi churi, jalapenos & a sausage, all this for only INR 250. You could try the Three Amigos, which for INR 300, comes not only with that 40oz of beef filling, but also prawns & bacon. Of course, it’s not a Mexican fare without nachos, so they have those too, along with tacos and other add-ons like potato wedges, beef chilli, etc. Their beef steak served with chimi churi for INR 300 is a fabulous deal. To finish it off, their Snickerdilla is the perfect dessert. What you get is a tortilla filled with marshmallows, chocolate, hazelnut and drenched in a salted caramel sauce. The truck is parked every evening from 5.30pm to 10.30pm near the Caranzalem Circle, come rain or sunshine. So go here and dig in!